Emerald is the 2013 Pantone color of the year- and for good reason. 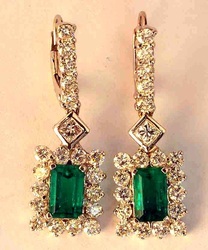 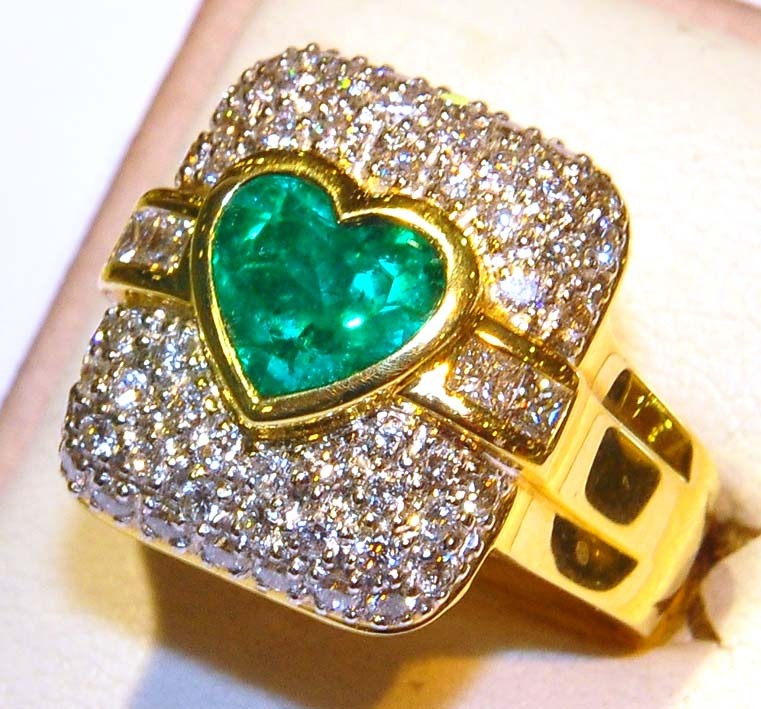 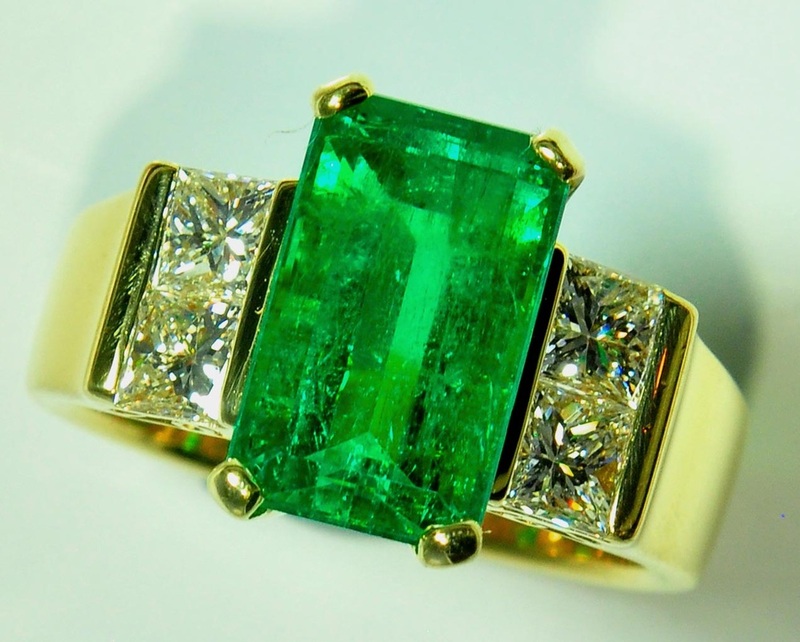 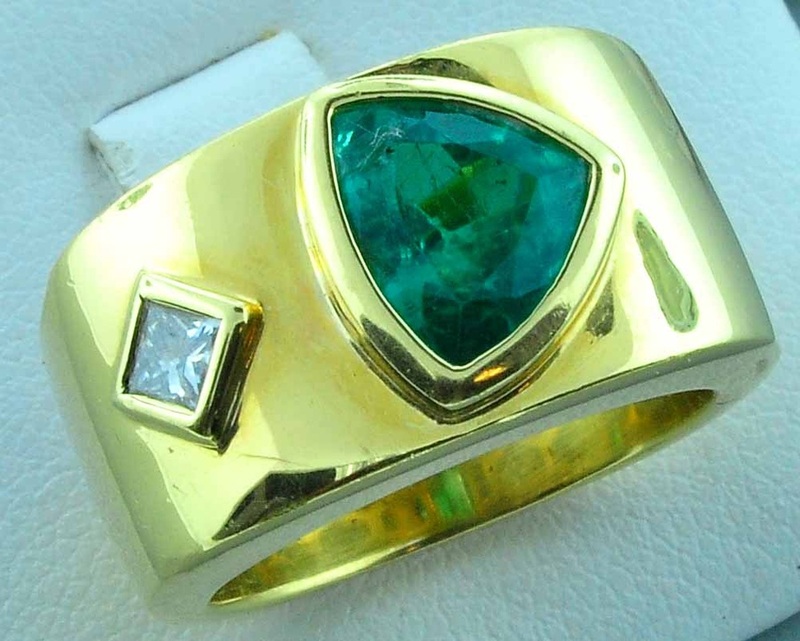 Colombian Emeralds in particular exhibit a beautiful vivid bright blueish green color that is glowingly radiant. 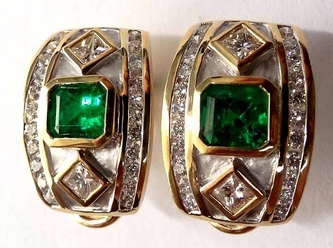 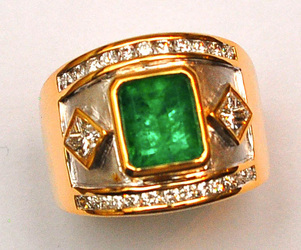 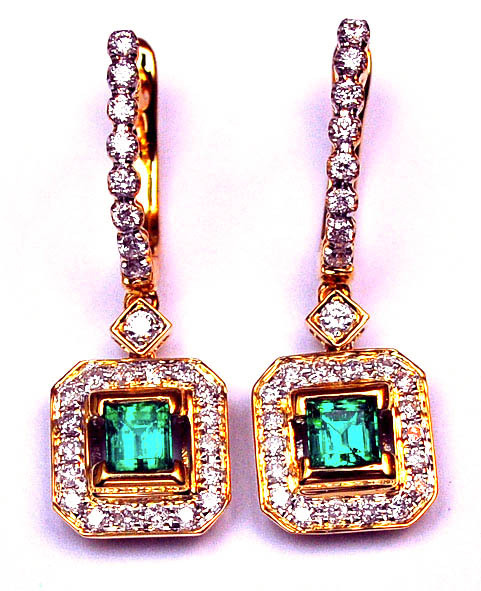 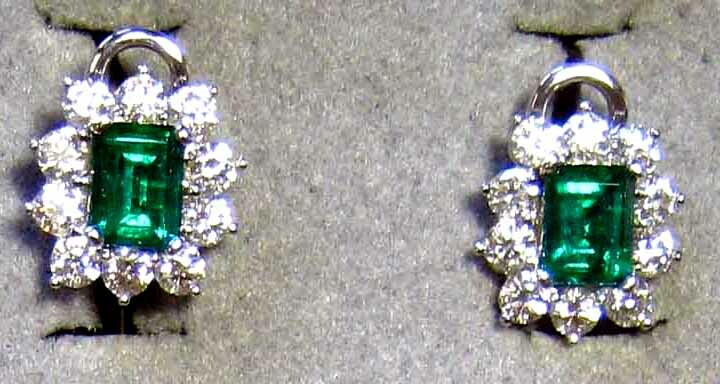 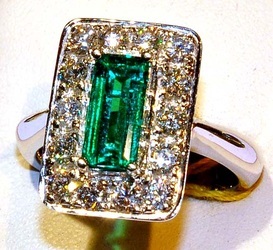 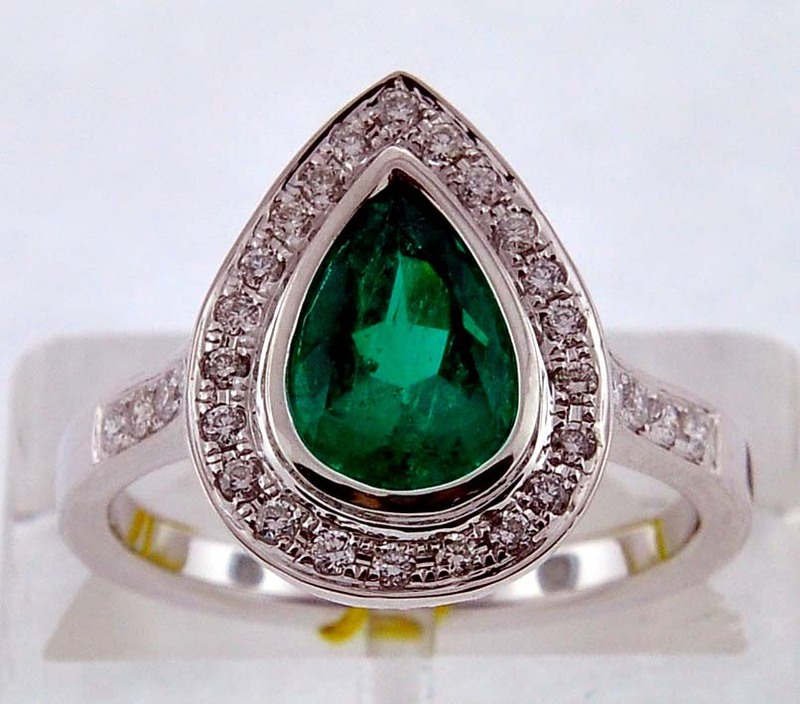 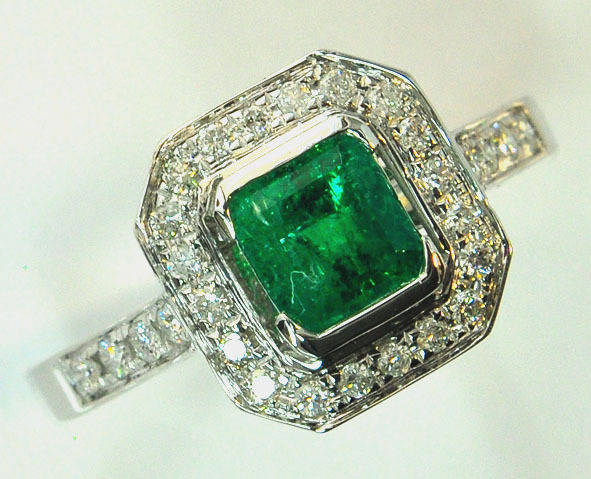 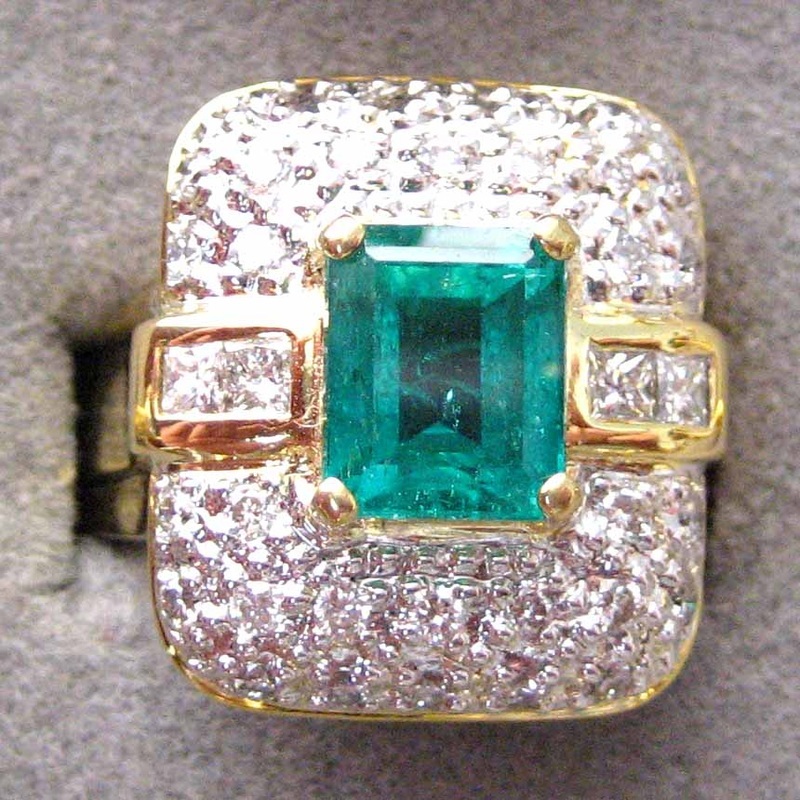 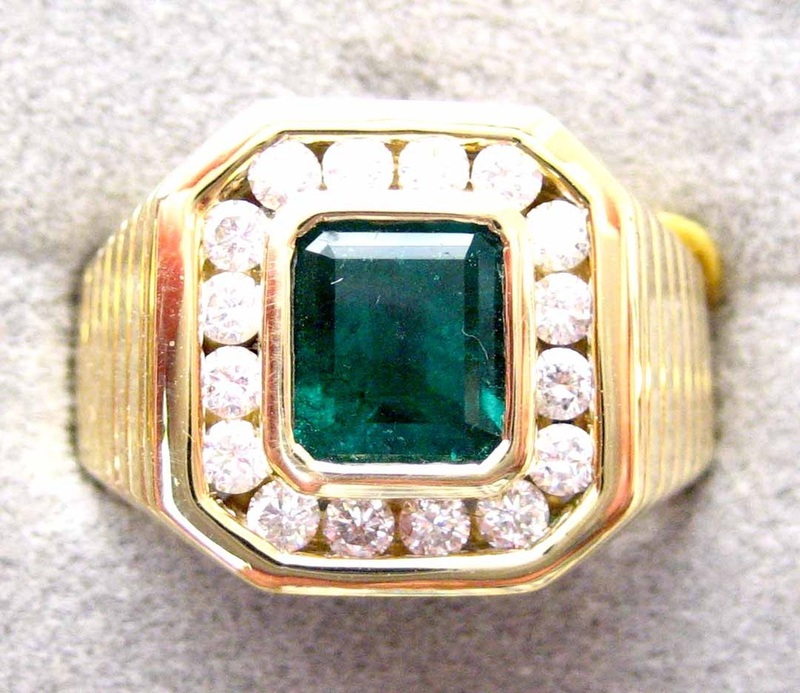 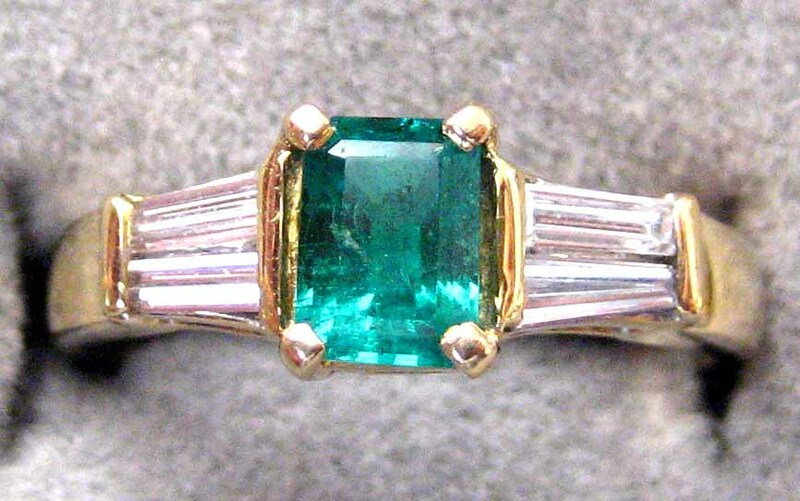 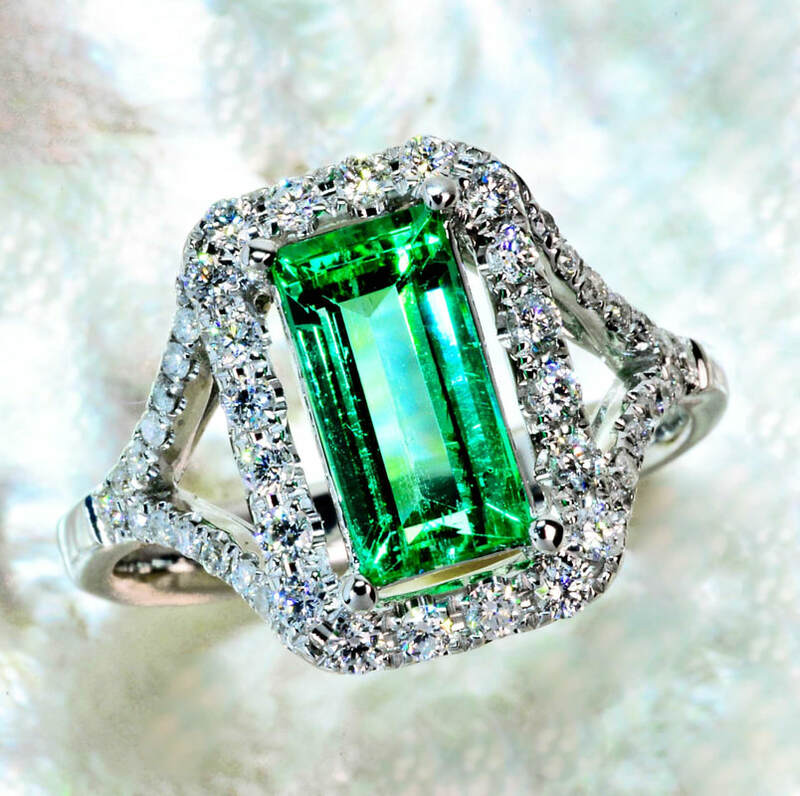 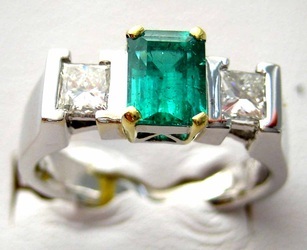 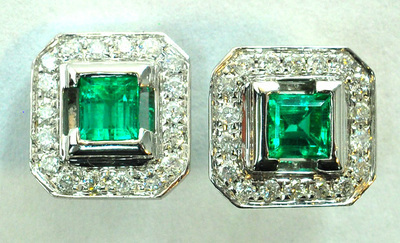 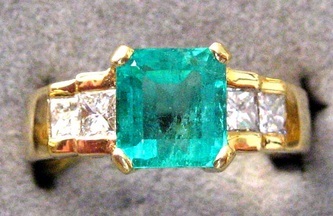 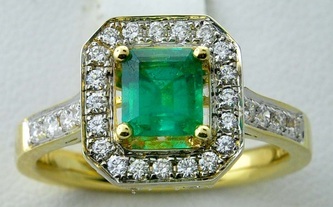 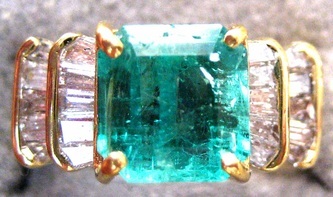 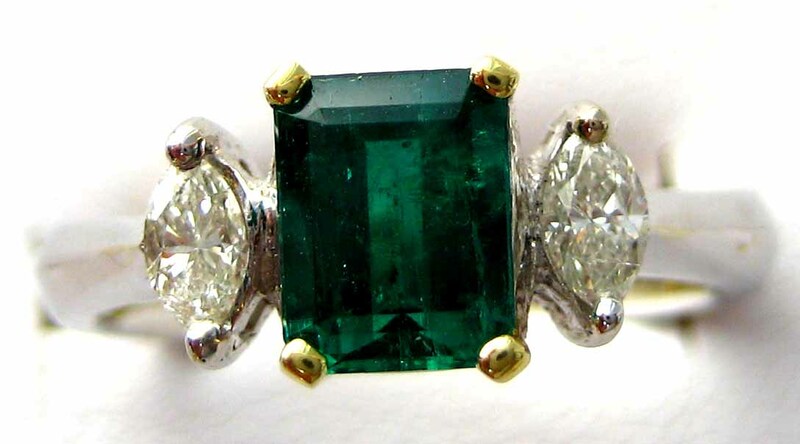 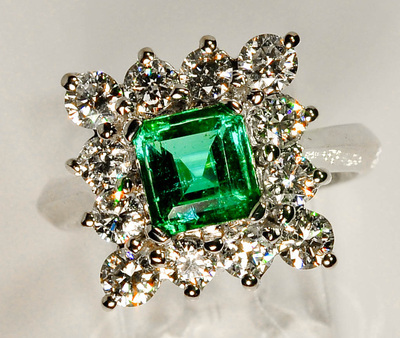 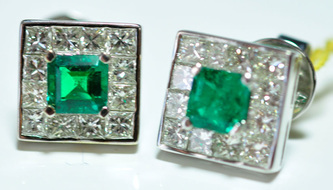 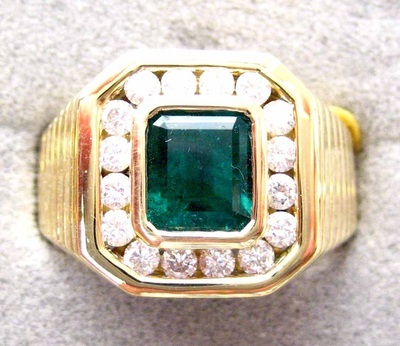 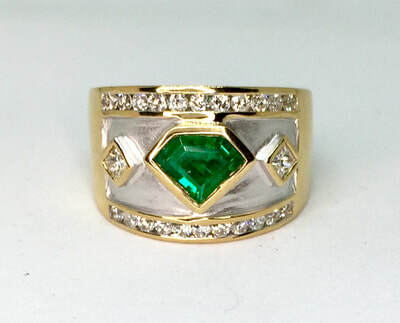 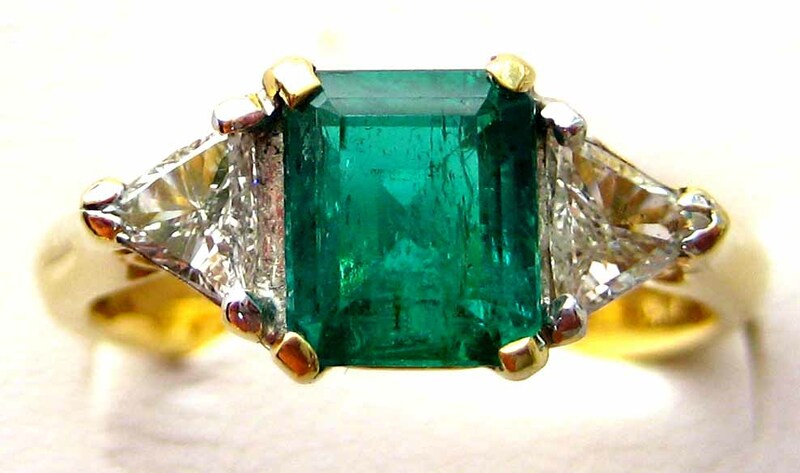 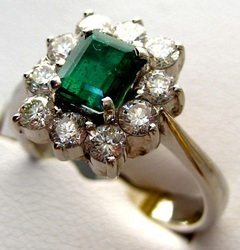 Emerald is part of the Beryl family, and is a type 3 gemstone- meaning that it is almost always included. 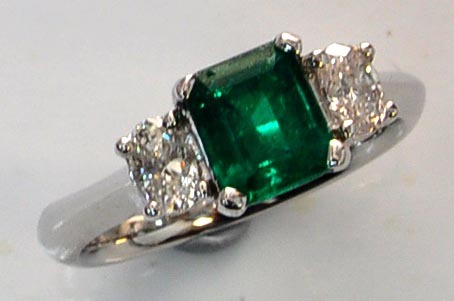 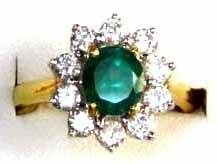 One of the popular misconceptions about Emeralds is that they are soft. 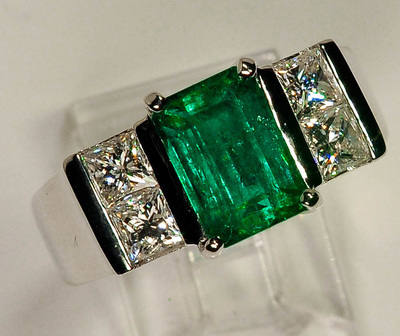 Emeralds are actually quite hard, measuring about a 7.5-8 on the Mohs scale of hardness. 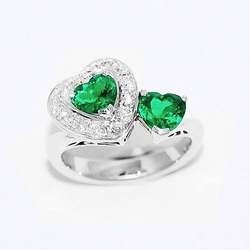 Hardness is a measurement of how easily something scratches. 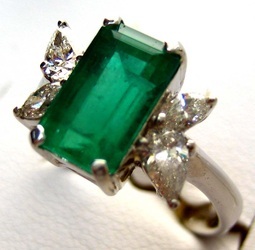 So while emeralds do not scratch easily, however, they can be prone to brittleness, which means that if they are hit at a bad angle, for example, they have a possibility to crack. 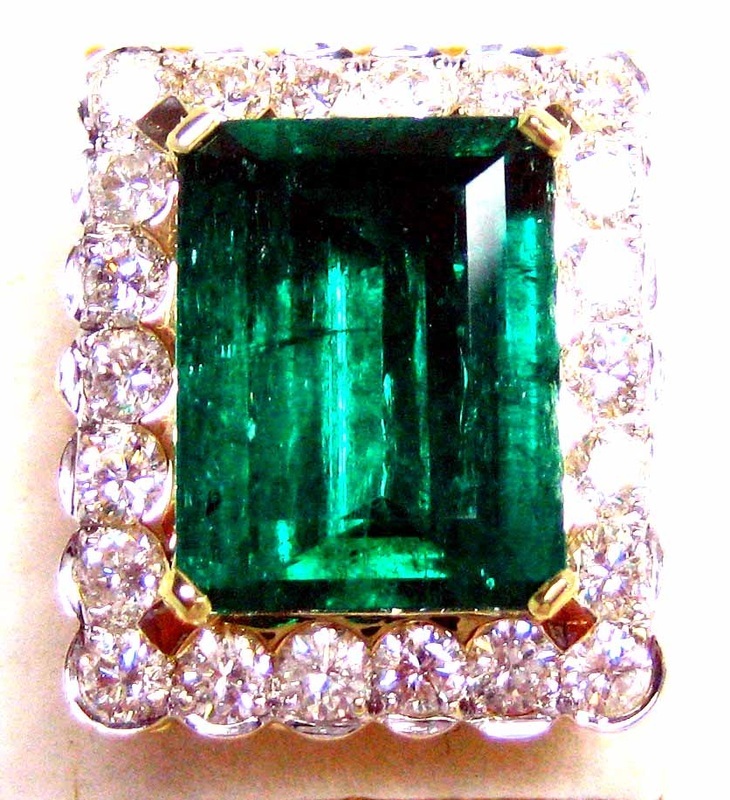 The more clean the emerald, the more strong the stone. 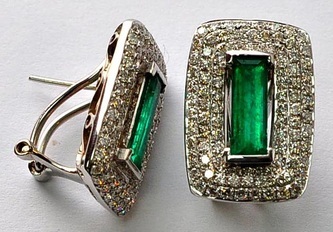 With proper care and a little bit of caution, there isn't any reason not to wear these stones often. 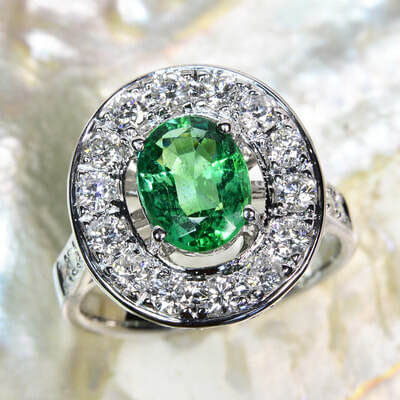 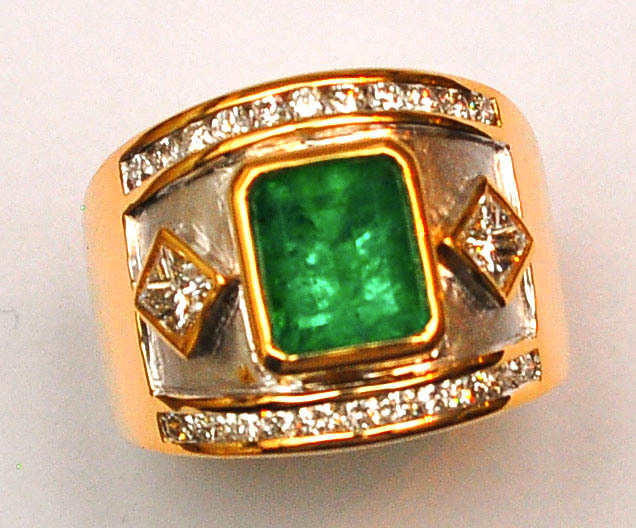 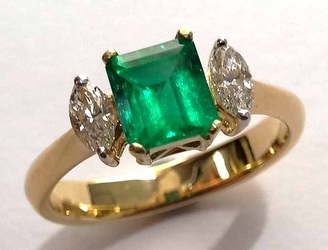 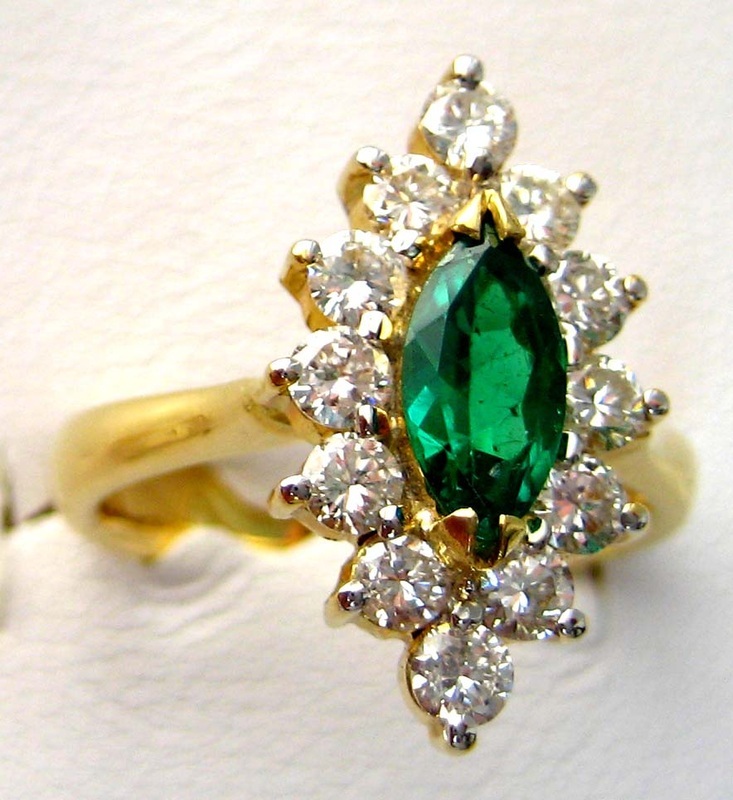 Our Emeralds all tend to be relatively clean stones in deep, rich colors.